Squirrel fish are very hardy. They don’t bother corals, but they will eat snails, crabs, starfish, and small fish, so if you plan on placing one in your reef tank, you need to take this into account. They do get to a large size, with Sargocentron spiniferum getting about 20 inches or so, but the striped squirrels group are smaller, in the 4-6 inch range. Squirrelfish are very active during the day and are nocturnal, so they will become even more active when the lights go off. It’s a good fish for FO or a FOWLR tanks and can be kept with both aggressive and non-aggressive fish. They also make knocking sounds that you can hear from some distance away. 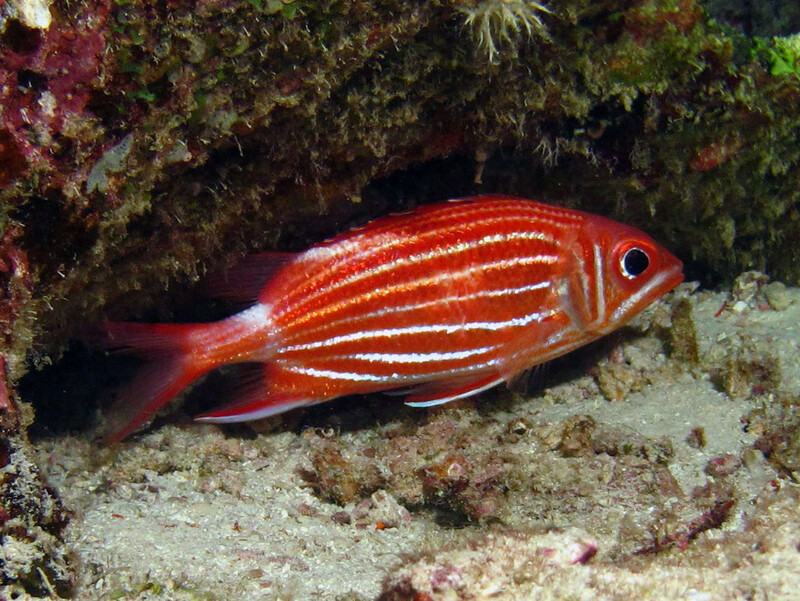 The Crown Squirrelfish is a good for fish a reef tank as it doesn’t get too large. It will eat small fish and invertebrates, so you need to be careful.